Currently, Samsung is getting ready to release the Android 4.1 Jelly Bean update to the Galaxy S III I9300 users by the end of this Month or early September at max but what about the Galaxy S2 loyal users? Well, Samsung heard them and We have some CONFIRMED Good News for them too... Samsung Galaxy S2 I9100 will get the Android 4.1 Jelly Bean. The JB Update is currently on KIES Test-Mode as Samsung developers is tweaking it with TouchWiz UI to make it run smoothly on the S2, We have no change-log for the Update yet. 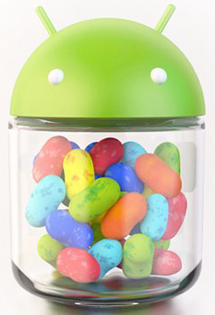 The Galaxy S2 Update to Jelly Bean build 4.1.1 is expected to start Rolling-out by September or November this year, As always the update will take from 1-2 additional Months to be available to all regions.